Getting a cavity filled is nothing to be afraid of, here at North River Dental Associates we perform those procedures on a weekly basis. While it is good to try and avoid cavities altogether, we completely understand how one troublesome tooth can negatively impact your quality of life, and that's where we come in. Don't let a painful tooth keep you from smiling! Research has shown that almost everybody has a 95 percent chance of eventually experiencing cavities in the pits and grooves of their teeth. Sealants were developed in the 1950s and first became available commercially in the early 1970s. The first sealant was accepted by the American Dental Association Council on Dental Therapeutics in 1972. Sealants work by filling in the crevasses on the chewing surfaces of the teeth. This shuts out food particles that could get caught in the teeth, causing cavities. 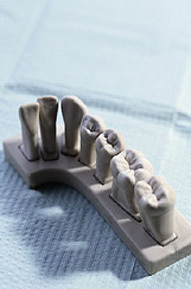 The application is fast and comfortable and can effectively protect teeth for many years. In fact, research has shown that sealants actually stop cavities when placed on top of a slightly decayed tooth by sealing off the supply of nutrients to the bacteria that causes a cavity. Sealants normally last about five years. Sealants should always be examined at the child`s regular checkup. Sealants are extremely effective in preventing decay in the chewing surfaces of the back teeth. Insurance coverage for sealant procedures is increasing, but still minimal. Many dentists expect this trend to change as insurers become more convinced that sealants can help reduce future dental expenses and protect the teeth from more aggressive forms of treatment. call North Rivers Dental Associates at 843-553-7827 today!